Gandrud has been an automotive client of IPSSolutions.com since 1999. 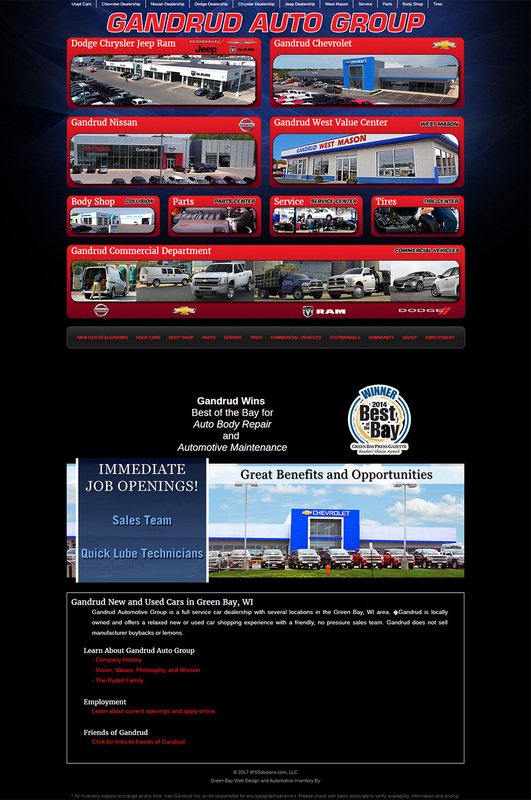 Gandrud Auto Group has several dealerships, a state of the art body shop, and a huge automotive parts department. Gandrud.com is a landing page for directing the customer to the appropriate website for their needs. The design is mobile friendly, super simple to navigate, and matches their brand. 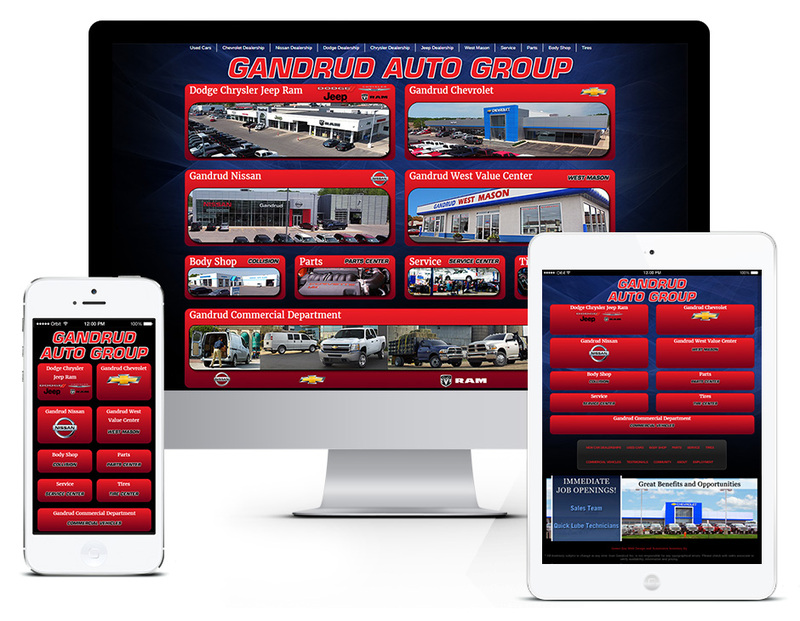 The goal was to showcase Gandrud's dealerships and services. IPSSolutions.com also assists with many aspects of Gandrud's online inventory management and online shopping cart for parts sales.